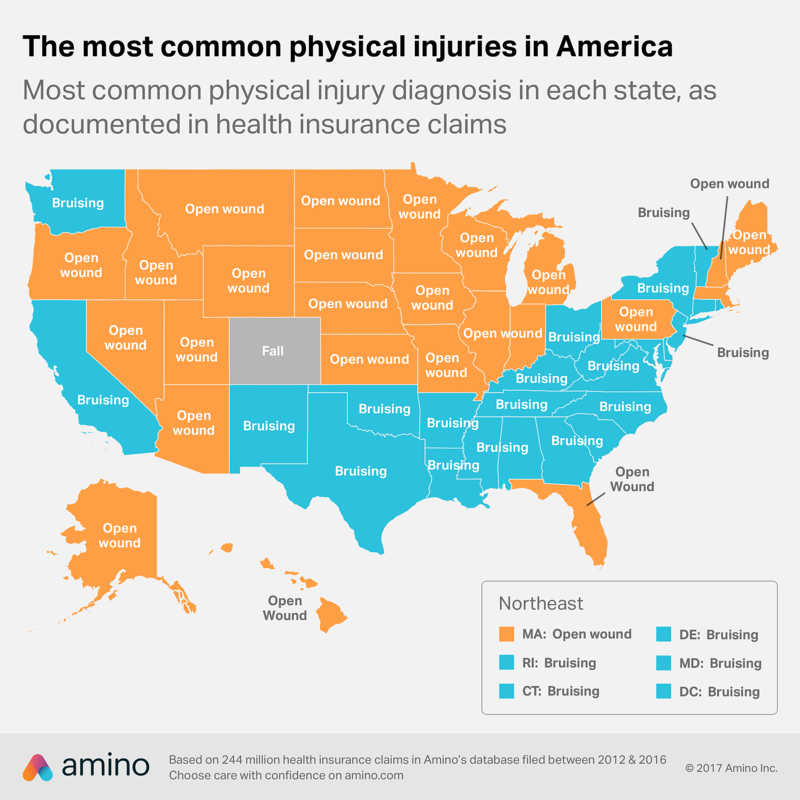 Colorado is full of unusual things including the most common personal injury that is disproportionate to the rest of the US. According to Amino, the most common injuries in the US are bruises, and open wounds (defined as an injury that breaks the skin). But for some reason, Colorado's most common physical injury is falling, which is uniquely different from the rest of the US. But that's not the only thing unique about Colorado. Amino took the study a step further and identified the injury in each state that is disproportionate to the country as a whole. For Colorado, that injury is suffocation. The study indicates suffocation is any diagnosis of low blood oxygen, the most frequent being hypoxemia. 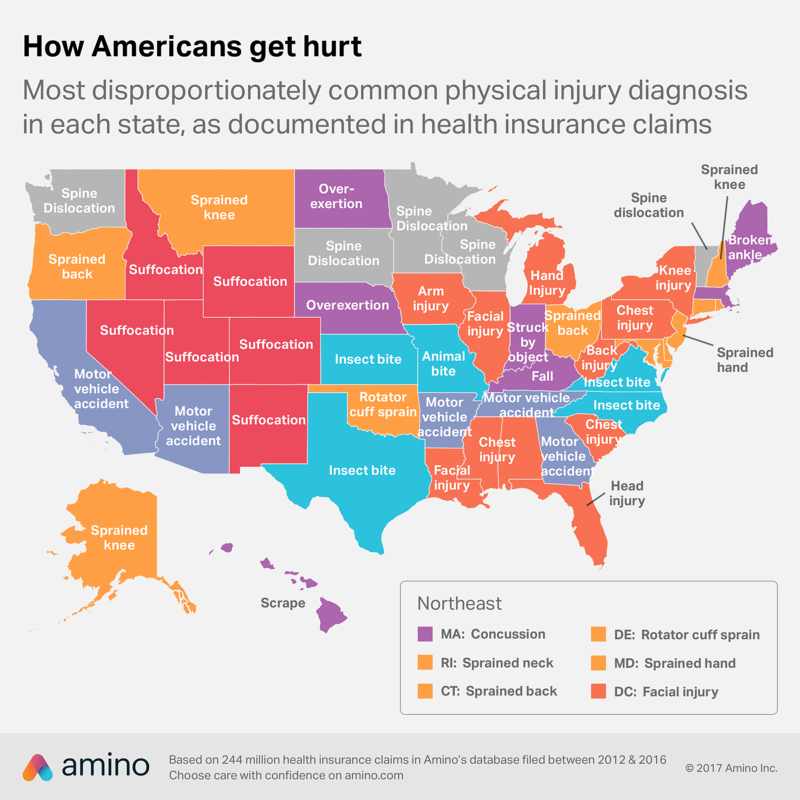 Colorado shares this strangely regional disproportionate injury with Idaho, Wyoming, Nevada, Utah and New Mexico. Amino speculates the higher elevation and less dense oxygen might play a part in the reports of suffocation. As for falling, if you feel out of breath and light-headed in Colorado it's best to sit down.